In 1893 Wheatley left the mine and became a publican and later he joined his brother to run a grocery shop in Shettleston, a mining village on the outskirts of Glasgow. The business failed in 1901 but Wheatley, who had been attended evening classes for many years, found work as a reporter for the Glasgow Observer. Wheatley was greatly influenced by the teaching and support of his parish priest, Peter Terken. Wheatley read widely including Francesco Nitti's book Catholic Socialism. In 1906 Wheatley was converted to socialism and formed the Catholic Socialist Society in Glasgow. The following year he joined the Independent Labour Party. In 1907 Wheatley start a printing business. He also began publishing political pamphlets. Wheatley wrote a large number of these including How the Miners are Robbed? (1907), The Catholic Workingman (1909), Miners, Mines and Misery (1909), Eight Pound Cottages for Glasgow Citizens (1913), Municipal Banking (1920) and The New Rent Act (1920). Wheatley was elected to the Lanarkshire County Council and the Glasgow Corporation. Wheatley's great interest was working class housing and he proposed a scheme for the building municipal cottages instead of tenements in Glasgow. Wheatley began working closely with other socialists in Glasgow including David Kirkwood, Emanuel Shinwell, James Maxton, William Gallacher, John Muir, Tom Johnston, Jimmie Stewart, Neil Maclean, George Hardie, George Buchanan and James Welsh. Like many socialists Wheatley was opposed to Britain's involvement in the First World War and played an important role in the fight against conscription. During the war he was also leader of the Glasgow rent strike. In 1920 Labour Party representation on Glasgow Corporation increased to forty-four. Wheatley was now the leading political figure in Glasgow and in the 1922 General Election was one of the ten Labour candidates elected to represent the city in the House of Commons. Others elected included David Kirkwood, Emanuel Shinwell, James Maxton, John Muir, Tom Johnston, Jimmie Stewart, Neil Maclean, George Hardie, George Buchanan and James Welsh. Wheatley was a passionate politician and in June 1923 he was suspended from the House of Commons for calling the Conservative government's proposed cut in grants to child-welfare centres as murder. Ramsay MacDonald disapproved of Wheatley's style, but respected his administrative ability. 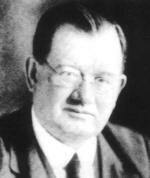 When MacDonald became Prime Minister in January 1924, he appointed Wheatley as his Minister of Health. Wheatley's Housing Act which became law in August 1924, was one of the few achievements of the first Labour Government. The legislation involved developing a partnership between political parties, local authorities and specially appointed committees of building employees and employers. The plan was to build 190,000 new council houses at modest rents in 1925, and that this figure would gradually increase until it reached 450,000 in 1934. On 9th May 1924 H. G. Wells led a delegation to ask for birth control reforms. The delegation asked for two things: that institutions under Ministry of Health control should give contraceptive advice to those who asked for it; and that doctors at welfare centres should be allowed to offer advice in certain medical cases. As a Roman Catholic Wheatley held strong views on birth control and refused to support this campaign. Wheatley retained his seat in the 1924 General Election but the Labour Party did badly and the Conservatives formed the next government. Wheatley criticised MacDonald's move to the right and as a result was not appointed to the Labour Government formed after the 1929 General Election. He refused to support all the measures proposed by MacDonald's government and led the fight against the National Insurance Act that Margaret Bondfield tried to persuade Parliament to pass. John Wheatley, who had suffered from high blood-pressure since 1924, died from a cerebral haemorrhage on 12th May 1930.